Mozilla released a phone with Firefox OS in Spain on Monday 1st july 2013 while, previously running mobile operating systems are Android and iOS. 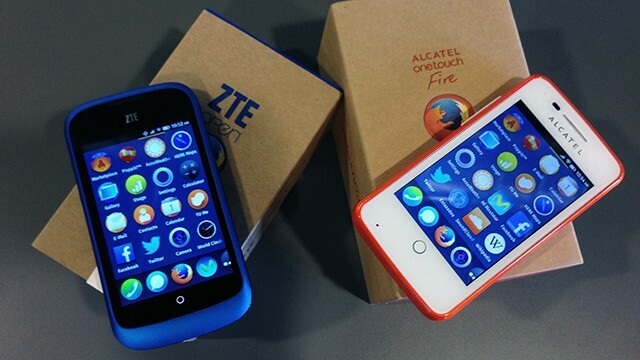 The two new mobile phones ZTE Open and Alcatel OneTouch Fire are very basic phones with 3.5-inch screens having firefox OS. Telefonica will sell the ZTE Open in Spain at low price 69 euros. Mozilla is trying to add typical closed app ecosystems in Firefox OS. There is no deadline for when the phone will come to the United States. Now, Mozilla is focusing on creating markets in Spain, Poland, Colombia, Venezuela where an iPhone is expensive for most people. ” This will be the first smartphone which many users would purchase,” said Chris Lee, who heads the product team for Firefox OS. Firefox operatin system already has most popular apps, including Twitter and Facebook. The built-in phone features are here for making phone calls, texting and browsing the Web. The first Firefox operatin system phones are simple, practical, not flashy, but the company aims the combination of low price and open ecosystem will make it a moderate popular.